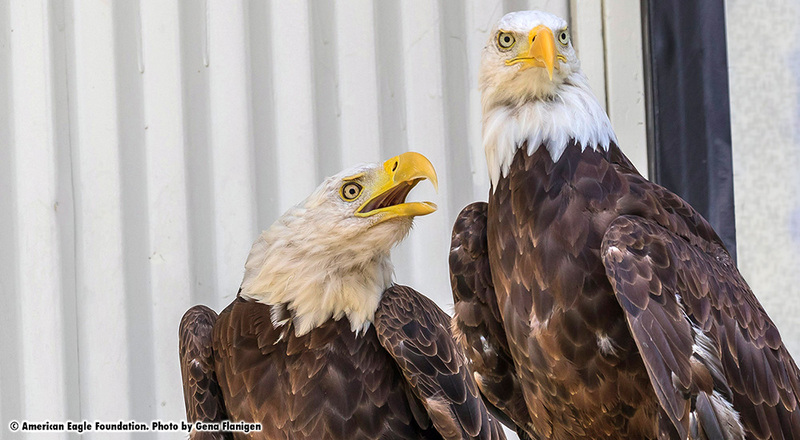 ‘Freedom’ and ‘Faithful Spirit’ are a bonded non-releasable pair of Bald Eagles that live in a large private aviary at the American Eagle Foundation. They have hatched and raised numerous young as a part of the AEF’s Captive Breeding and Hacking programs. 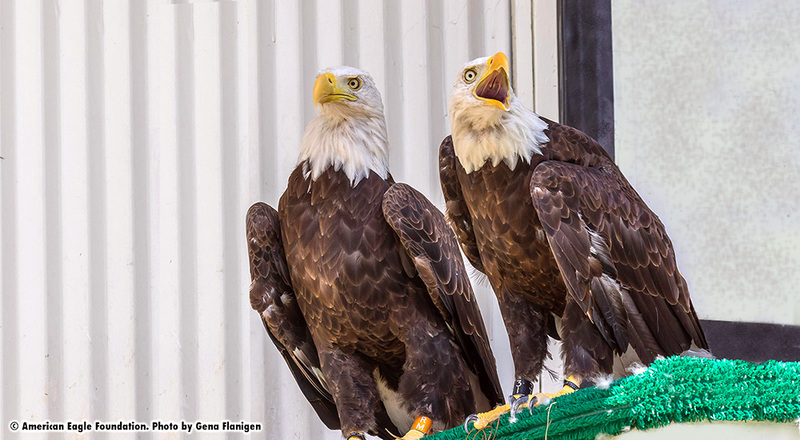 Learn about AEF’s Captive Breeding and Hacking program! Freedom was named in honor of Sgt. Paul Thomason. 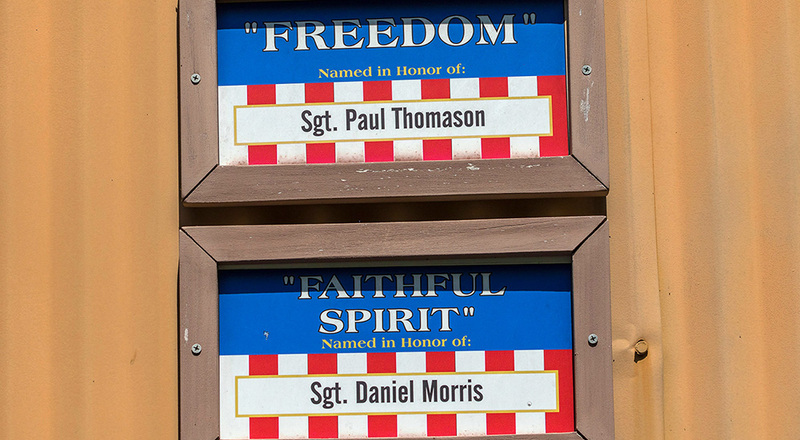 Faithful Spirit was named in honor of Sgt. Daniel Morris.